No one in the Food & Wine office could avoid The Pile. Everyone who walked by The Pile commented on it. Quite a lot of it, in fact. Why indeed, dear reader? In recent weeks, our tasting coordinator and her desk have been nearly buried under a mountain of pink wine. She is just now climbing out from The Pile. While I’ve grown accustomed to our annual call for rosé resulting in a deluge of bottles, we faced a different magnitude this year – enough that, even after sorting into our final lineup, I still evaluated more than 120 wines, aided by two intrepid tasters: Paul Einbund, wine director of Frances restaurant in San Francisco, and Kerrin Laz, wine buyer for Dean & Deluca in St. Helena. Our conclusion was that 2013 may finally have brought a perfect storm of rosé. A number of things have made it so. 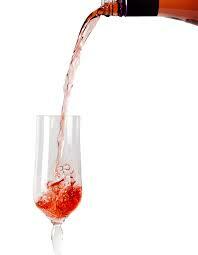 To start, there is a theme I’ve been sounding for several years: Rosé is the hottest thing in wine right now.